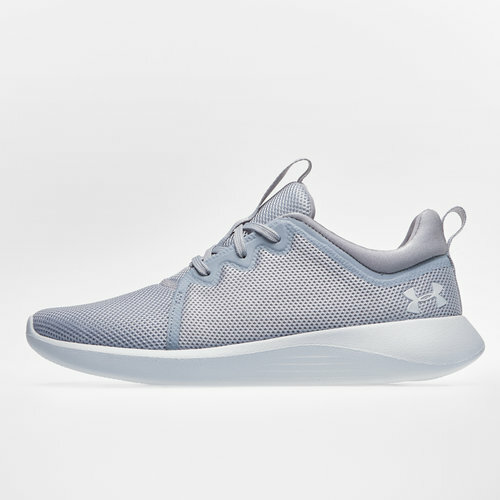 If you're a runner comfortable footwear that will improve your game is essential which is what you can get with these UA Ladies Skylar Training Shoes in Mod Grey and White from Under Armour. These lightweight running trainers have been engineered with a two-tone mesh upper construction for increased ventilation when you're really feeling the heat. The firm external heel counter adds support for long runs whilst keeping the back of the foot locked in place. The moulded, high-rebound EVA sockliner provides a comfortable and responsive run whilst the cushioned midsole uses a compression-moulded foam for an even better response and offers durability. These trainers are designed with sheer comfort in mind.